A good Chart Template can mean the difference between a successful and well-executed project, or a blundering mess. Charts are the perfect tool for managing and tracking progress of large-scale projects. One such project is cleaning house. 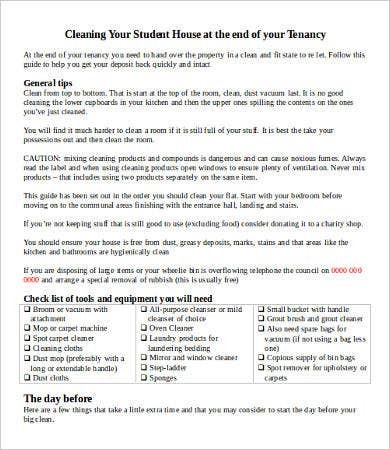 Whether as a plan for tackling your own personal abode, a game plan for your house-cleaning and maintenance business, or as instructions for tenants in your residential property, cleaning charts are excellent ways to handle the complexity of the job. 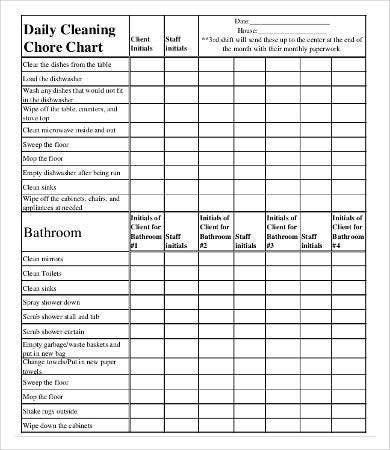 Download these sample cleaning charts as free Word and PDF files to help you get organized and get going. 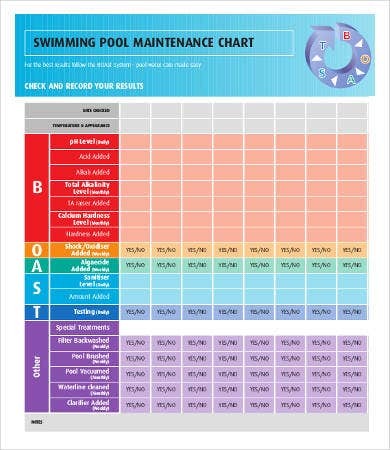 Charts can be made in all kinds of layouts and formats. They are the combination of project calendars and project planners, and keep track of everything you have to do in order to move toward project completion, as well as relevant information on who’s doing what, when, how, and where. These can work for any long-term, ongoing (cyclic) project that you routinely need to keep track of. 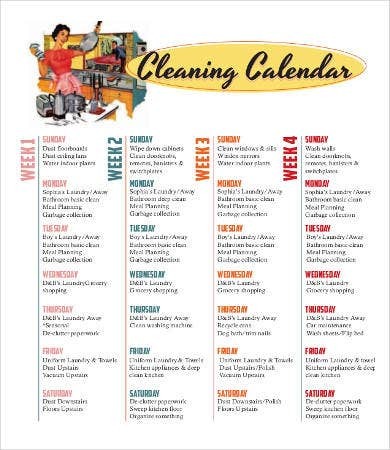 Here, we present charts dealing with cleaning and maintenance schedules. 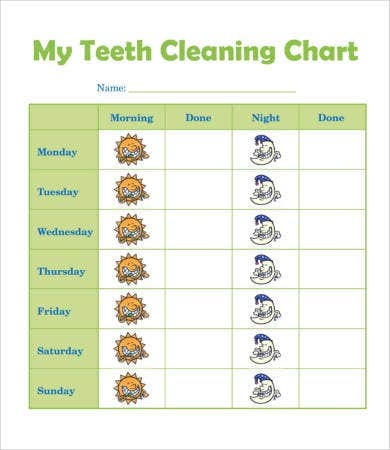 even a teeth-cleaning chart for breaking kids into the habit. It’s a varied list to be helpful in most situations. 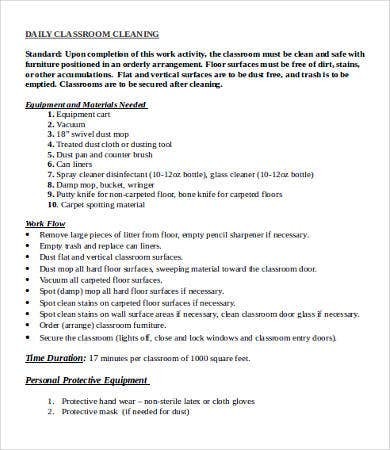 As long as you understand the point of these cleaning charts is to manage lists of what to do and when to do it, the layout and the medium almost doesn’t matter. 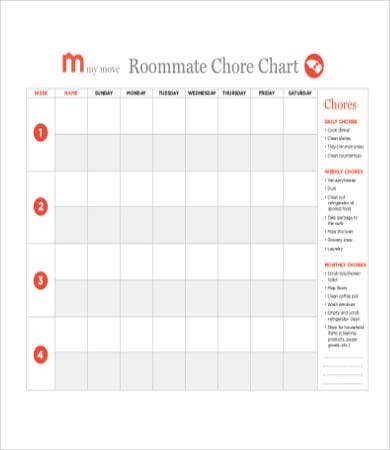 You can keep a well-detailed Excel Chart Template on your computer, or you can print out a PDF and magnet it to your fridge door. Attempting a domestic project of this scale can quickly (and unnecessarily) become maddening and chaotic. It is easy to lose track and falter, and often you don’t even have the time and resources to do anything about it, much less draft a detailed plan to start on right this moment. These templates can be your solution. Download any of them for free and use as guidelines. 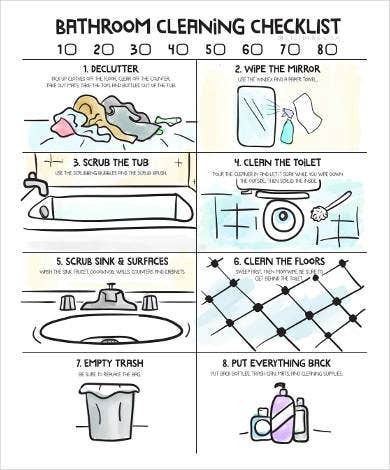 They come in varying levels of complexity depending on how far you want to go with your purge-and-sanitize routine. 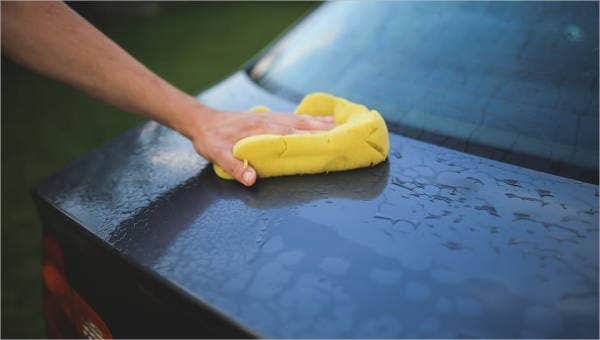 Some already come in full color to take the mundane edge off the chore, in case you need to convince the unwilling to go along with your plan. With the right word processor and a little PDF editing, you can customize any of these templates to work for you. You have options. 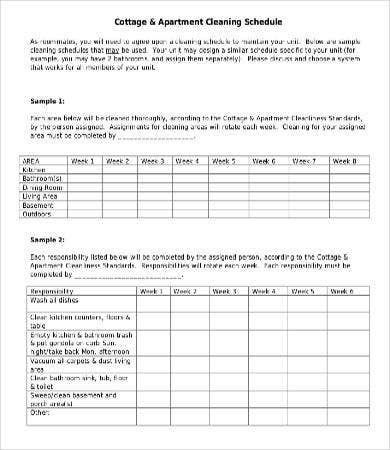 For example, keeping track of all the important project variables can also be effectively managed using a Control Chart Template. Don’t forget to hunt through Template.net’s archives of free tools and customizable downloads to help you change the way you deal with your work and life.